This 2016 edition gives us a rare glimpse of Surtur’s softer side. In addition to the taste and smell of fire roasted corn, coffee, burnt sugar and licorice, a bit of light chocolate, cocoa and vanilla has been thrown into the mix for that extra silky smooth texture. 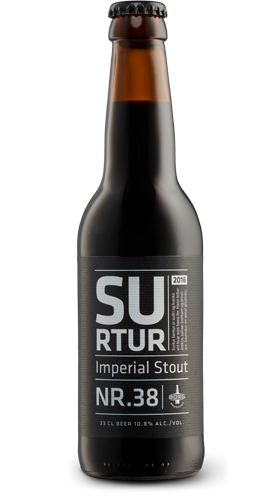 Ingredients: Pure Icelandic water, malted barley, malted wheat, malted rye, sugar, hops, vanilla and yeast.